The following are definitions of some of the technical terms on this site. If you require any further clarification about these or any other terms, please contact us. Much is spoken of the quality and intensity of dried hop aroma. These are strong varietal characteristics. There appears to be a general relationship between the type and heaviness of a hop aroma and the flavour and aromatic properties of beer. A major component of the soft resins. When isomerised, these materials provide the main bitter compounds associated with beer. The alpha acid content varies widely among hop varieties from levels of 3 – 4% w/w in aromatic type hops to levels of 13 – 16% in the bitter hops. A soft resin component, beta-acids are not bitter in the natural or isomerised form. Some of the oxidation products do provide bitterness, and the beta-acids can be chemically transformed into light-stable bittering forms. The alpha acids exist in three analogous forms, humulone, ad-humulone and co-humulone; and the proportions of these analogues vary markedly with variety. Varieties with relatively low co-humulone levels are strongly favoured. Where available, analytical figures on varietal sheets show the % of Alpha Acid remaining after 6 months storage at 68f. Oxidation of alpha acids removes their ability to be isomerised to the required bitter isomers. In comparable circumstances, some varieties lose a greater proportion of their alpha acids to oxidation than others do. Cold storage and anaerobic conditions can delay oxidation. Some oxidation of essential oil components is necessary to produce compounds thought to be important in beer flavours, so controlled ageing is important for hops required for both bittering and aromatic properties. This characteristic varies widely with seasons, varieties and growths from 0.5 mls to about 3 mls per 100g of hops. While the soft resin compounds are responsible for providing the bitterness to a beer, the quantity and composition of the essential oils are responsible for the amount of hop flavour and aroma in the beer. The four major components of the essential oils and between them they account for about 60 – 80% of the essential oils for most varieties. The compounds are all highly volatile hydrocarbons and during boiling of the wort most, if not all of them, are driven off and contribute only a little to hop flavour and aroma in beer. Therefore it is usually necessary to add late hops for additional aroma. With our unique combination of vacuum Packed “Freshpaks” in 5kg and 20kg packs and our comprehensive stock of over 100 different varieties from growers worldwide, all year round we can offer the brewer an artist’s pallet of flavours to create every type and style of beer. The most popular varieties are also stocked as Type 90 pellets. Sealed in vacuum packs, these are used in the boil for bittering or late on for aroma. They must be used in conjunction with a whirlpool or enhanced filtering system. We carry hops from all over the world and aim to provide an artist’s palette of flavors to create every type and style of beer. 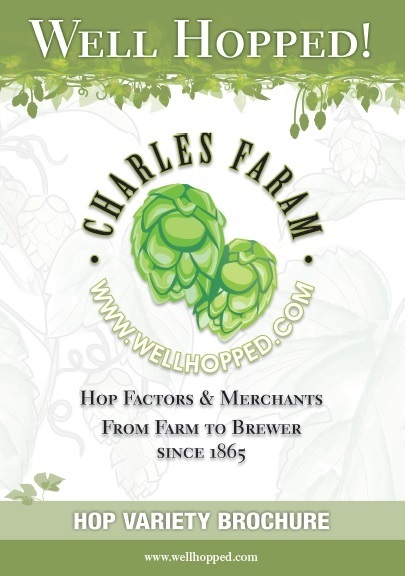 Our main office is conveniently located in the brewer’s paradise that is Portland OR, while our cold store warehouse is in the US hop capital, Yakima WA.